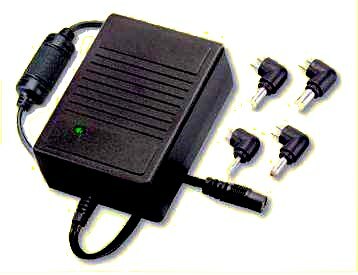 Digital camera power supply adapter for Agfa, Epson, Toshiba, Fujifilm, Kodak, Konica, HP, Olympus, Sony, Ricoh, Casio, Minolta, Vivitar, and Nikon 15 watt power supply, with user adjustable output. This is a compact, high quality, switchmode regulated power supply with adjustable output adaptable to many digital cameras. 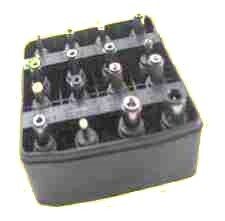 It has a folding plug making it convenient for travel or storage. It has international voltage range, and can be moved from camera to camera because it has adjustable voltage and replaceable dc plugs. AC plug Folding AC plug makes unit easy to carry. Line Regulation test. The output current is 500 mA for these tests.